VENeffect Phyto-Lift Firming Serum, 1 oz. VENeffectPhyto-Lift Firming Serum, 1 oz. Developed by womenfor women, this potent, highly effective VenEffect anti-aging treatment serum dramatically enhances skin tone and firmness. The unique formula is packed with 100% natural oat extract to firm the skin, while the exclusive advanced phytoestrogen technology brightens, enhances skin tone, and dramatically boosts elasticity. Free of silicone, alcohol or fragrance, this innovative serum is a highly active first step in the treatment regimen, working in synergy with VENeffect Anti-Aging Moisturizer for longer lasting moisture and firmer, more luminous skin. Smooth 1-2 pumps over face, neck and décolletage morning and evening after cleansing. Follow with VENeffect Anti-Aging Moisturizer SPF 15 or VENeffect Anti-Aging Intensive Moisturizer. As estrogen declines, skin loses elasticity resulting in fine lines, wrinkles, and loss of skin tone. Two sisters created VENeffect with the goal to help reverse lost elasticity directly related to the decline in estrogen. 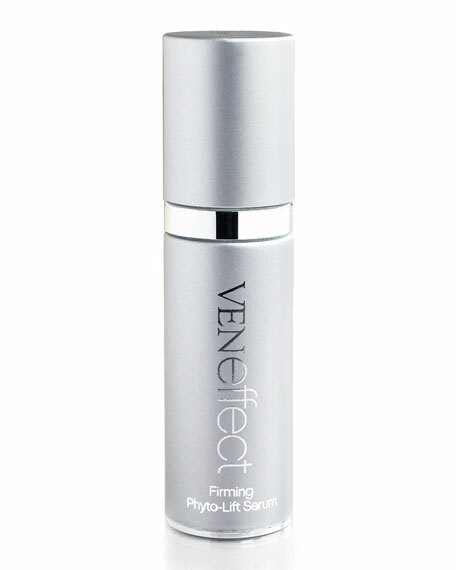 VENeffect's powerful blend of 100% natural plant-based phytoestrogens enhances estrogen, improving skin's elasticity. Clarins Mission Perfection Serum, 1.0 oz.